Let's take a look at how to implement pagination when using an Oracle database, along with a quick example. Many times, we need a SQL query that returns data page by page i.e. 30 or 40 records at a time, which can be specified as page size. In fact, Database pagination is a common requirement of Java web developers, especially dealing with the largest datasets. In this article, we will see how to query Oracle 10g database for pagination or how to retrieve data using paging from Oracle. Many Java programmer also uses display tag for paging in JSP which supports both internal and external paging. In case of internal paging, all data is loaded into memory in one shot and display tag handles pagination based upon page size but it only suitable for small data where you can afford those many objects in memory. If you have hundreds of row to display than its best to use external pagination by asking the database to do pagination. In pagination, ordering is another important aspect which can not be missed. It's virtually impossible to sort large collection in Java using limited memory available to Java program, sorting data in a database using ORDER BY clause itself is a good solution while doing paging in a web application. In database paging, we only query data that we are required to show or maybe up to 3 pages just to prefetch some data in advance for performance reason. Thankfully, Oracle database provides a convenient method row_number() that can be used to provide a unique row number to each row in result set. See Oracle PL/SQL Fundamentals — Part 1 to learn more about row_number and other pagination methods in Oracle database. This will print the result of a query including an additional column called line_number, which will automatically be populated by Oracle because of row_number() function. 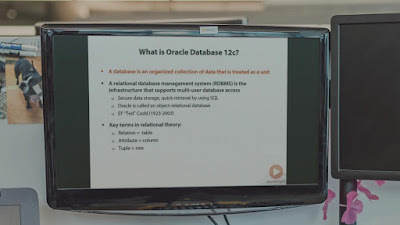 You can also see Oracle Database 12c Fundamentals to learn more about the row_number function of Oracle 12c database, which is a free online course from Pluralsight to learn Oracle database in detail. There are two parts of this tutorial, both are freely available once you signup for the 10-day free trial on the Pluralsight website. By using this line_number column, now we can get the result page by page based on the size of the page or more specifically from one row to another like from 1 to 30 or 5th to 30, since you can pass starting row and end row from Java program to Oracle database. Though I know MySQL database has inbuilt paging support using the LIMIT keyword, this row_number() function of Oracle is equally useful for paging in Oracle database. I have also found that SQL Server also supports row_number() function, which can be used to get data page by page in SQL Server. By the way, if you are preparing for Oracle Certification e.g. 1Z0-066 to become a certified Oracle Database administrator, then you can check out David Mayer's free 1Z0-066 dumps for reference.